Home > Benjamin Cohen fears the US may expand its trade and investment actions against China to include action in currency markets, a path that "would be dangerous, and possibly disastrous"
Clearly, Trump and his advisers view China as America’s chief “economic enemy .” The question now is whether they will follow up with an attack on the renminbi, China’s increasingly popular currency. So far, the US has imposed sweeping import tariffs  of 25% on steel and 10% on aluminum, which Trump personally announced early last month. Since then, the administration has carved out exemptions for certain US allies, while using the tariffs as a bargaining chip to extract concessions from others. China, for its part, is not a major supplier of steel or aluminum to the United States. But Chinese overcapacity has been putting downward pressure on steel and aluminum prices globally, to the detriment of US producers. So, the Trump administration’s aim is to force China to reduce its own output sharply. Even more dramatically, the Trump administration has unveiled plans to impose import tariffs on a wide range of Chinese goods, valued at up to $60 billion. It is also tightening restrictions on corporate acquisitions and investments by foreign firms; and it has signaled its intention to challenge  China’s forced technology transfers at the World Trade Organization. Moreover, the administration is moving to bar Chinese companies from investing in sensitive US sectors such as semiconductors and 5G wireless-communications technologies. Trump has already blocked  a $117 billion bid by Broadcom – a Singapore-based firm with close ties to China – to acquire the US tech giant Qualcomm. Similarly, the Trump-appointed commissioner of the Federal Communications Commission, Ajit Pai, has agreed to treat Huawei, China’s top telecommunications equipment maker, as a national security risk. And, under a proposed new rule , firms with that classification will no longer be able to supply equipment to companies building Internet infrastructure in the US. To date, the Trump administration has not taken any direct action against the renminbi. But if it views Chinese exports and investments as a threat, it may be only a matter of time before it targets the Chinese currency, too. Since the 2008 global financial crisis, China’s government has gone to great lengths to promote the renminbi’s international standing . It has eased regulations so that more trade-related transactions may be settled in renminbi, thus bypassing traditional invoicing currencies like the US dollar. It has established a network of renminbi clearing banks that spans financial centers around the world. It has cultivated active markets for renminbi deposits and renminbi-denominated bonds in Hong Kong and elsewhere. And it has reached currency-swap agreements with dozens of foreign central banks, in the hope that the renminbi will become a new global reserve asset. Meanwhile, China achieved a major milestone in 2015, when the International Monetary Fund agreed to include the renminbi in the basket of currencies that determines the value of its synthetic reserve asset, the Special Drawing Right (SDR). Previously, that privileged status had been granted only to the US dollar, the British pound, the Japanese yen, and the euro. Inclusion in the SDR currency basket thus provided a major boost to the renminbi’s international standing, and encouraged China to go even further in promoting the currency. Most recently, China launched a new exchange  for renminbi-denominated crude oil futures, which some observers see as a direct challenge to the dollar. As part of its increasingly ambitious bid for global influence, China aims to develop a currency that could be worthy of a global superpower. The US has long benefited from the dollar’s dominant position  in financial markets and central-bank reserves, and China now wants to reap similar rewards. 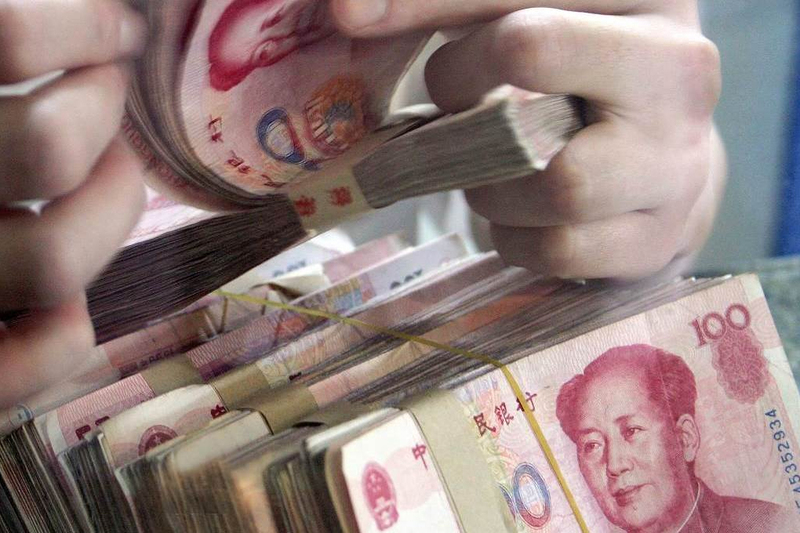 If the renminbi’s rise comes at the expense of the dollar, that’s too bad. Before Trump, US policy for maintaining the dollar’s primacy was largely passive, if not conciliatory. Even when it was clear that China was promoting the renminbi as an alternative to the dollar, the Obama administration did little to defend the greenback. In fact, the US actually supported the renminbi’s entry into the SDR basket, despite widespread doubts about the currency’s qualifications, because it wanted to encourage China to become a more reliable stakeholder in the existing monetary system. But then came Donald Trump, and all bets were off. Although its international standing has risen, China’s currency is still a long way from major-league status. Trump, the self-proclaimed dealmaker, presumably knows this, and will be tempted to exploit the renminbi’s vulnerabilities. For example, if China chooses to resist Trump’s demands for concessions on trade, the US could prohibit the renminbi’s use in invoicing or settlements by US businesses transacting with Chinese partners. It could discourage, or establish new barriers to, investments in renminbi-denominated assets. Or it could offer swap agreements on favorable terms to any central bank that is prepared to abandon its agreement with China. The list of possible punitive actions is long. Of course, a currency war alongside a trade war would be dangerous, and possibly disastrous. At a minimum, financial markets could be destabilized, and international lending could be disrupted. Unfortunately, a man who thinks  that “trade wars are good, and easy to win” is unlikely to be deterred by these possibilities. We can only hope that cooler heads will prevail. Benjamin J. Cohen is Professor of International Political Economy at the University of California, Santa Barbara, and is the author of Currency Power: Understanding Monetary Rivalry . Copyright: Project Syndicate , 2018, published here with permission.